I just returned from Random House’s Off the Page Event that took place today in New York’s Hudson Valley. A few weeks ago, I won tickets to the event for me + a friend through an Instagram contest which was very exciting! Enter those digital book contests — one day you might be the lucky winner! I had never been to upstate New York before so I was very excited to visit the rolling hills of Hudson Valley and to escape the hubbub of the city life for a weekend. Sam, one of my college friends, was game to go with me and I’m so happy she agreed! We made our way up to Hudson on Friday night and stayed with some of her family friends before departing for the event bright and early on Saturday morning. 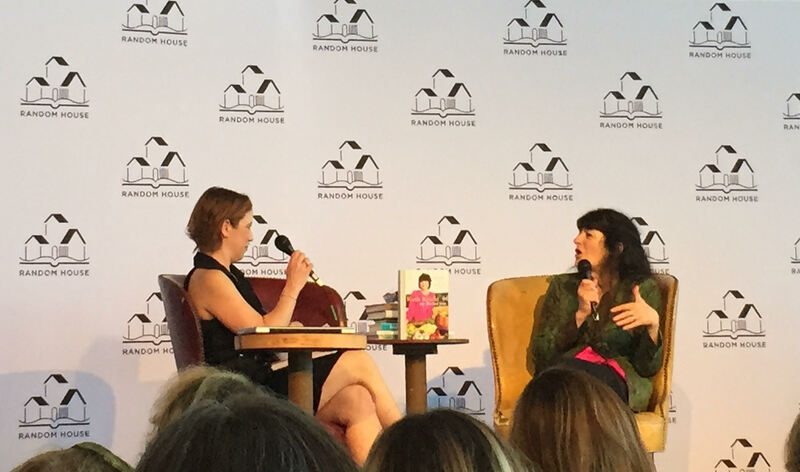 The morning started off with a conversation between Dana Bowen, the editor of Every Day with Rachel Ray, and Ruth Reichl, the author of many fantastic food memoirs and cookbooks. The conversation was quite lovely and Ms. Reichl was extremely charming as she discussed the creation of her upcoming cookbook to be released this fall. Reichl moved to Hudson after falling upon some hard times in the city and cooked her way back to happiness, all the while tweeting about her experiences along the way. The book covers the foods that helped her find her happiness again. After listening to that exciting conversation, Sam and I attended some of the classes they offered as part of the event. 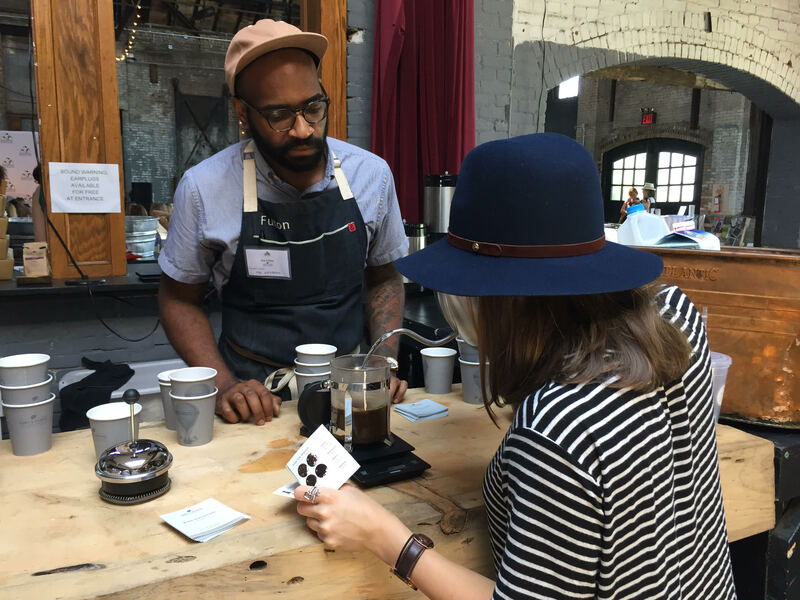 We learned different ways to brew coffee from Toby’s Estate and how to make flower arrangements! 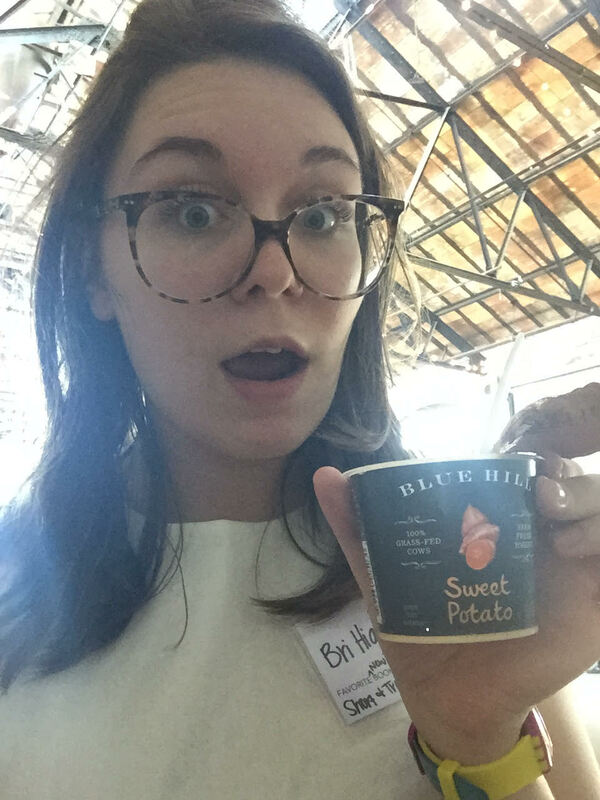 We also tried savory yogurt, courtesy of Blue Hill Yogurt, which we’d never done before! Fun photos of all of these things are at the end of the post. 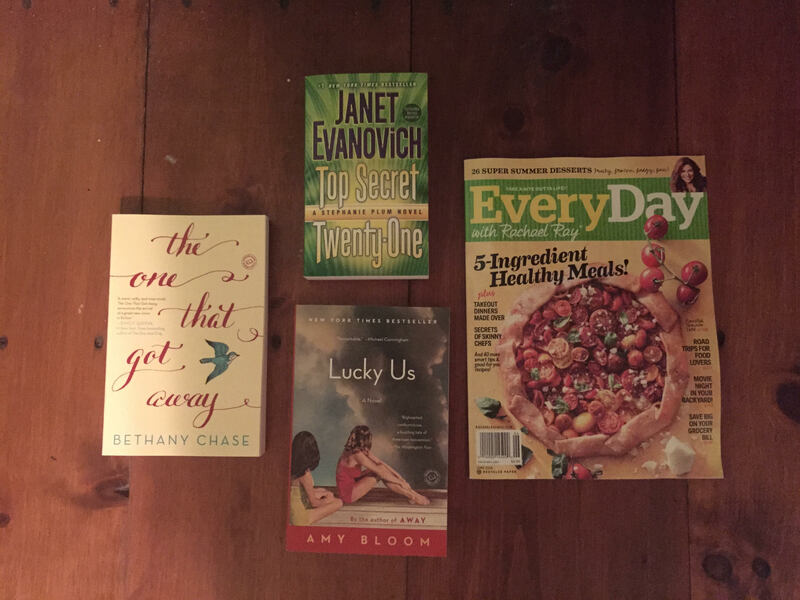 We were also given a swag bag that included a summer issue of Every Day with Rachel Ray, Top Secret Twenty-One by Janet Evanovich, The One that Got Away by Bethany Chase, and Lucky Us by Amy Bloom. Thanks for the fun event, Random House! Here’s to hoping I can win tickets to more cool events in the future! Click through for more photos from the day! 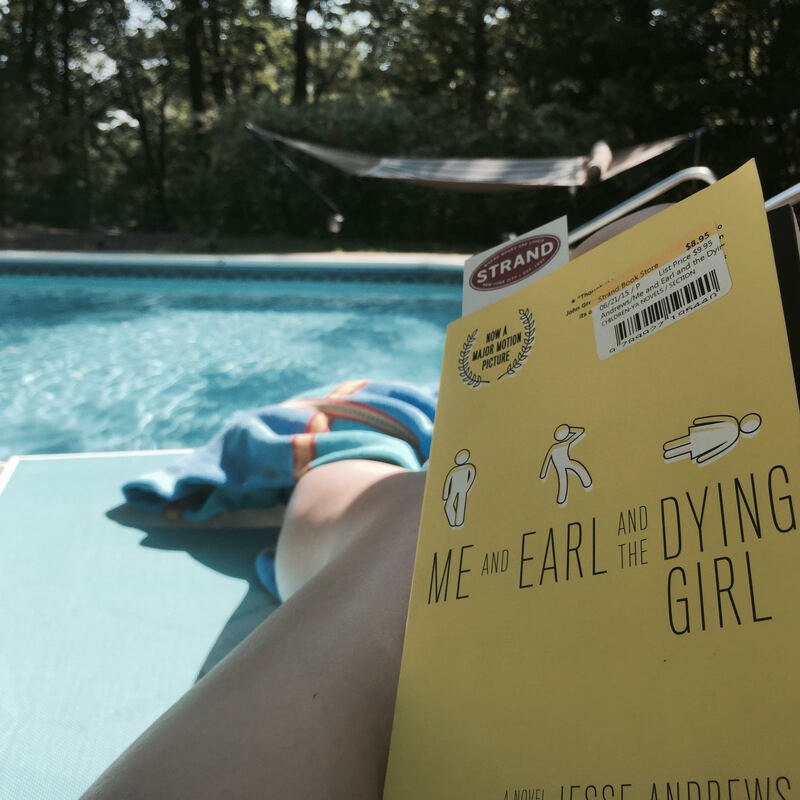 Because it got a little too hot, Sam and I left a bit early to hang out by the pool, where I spent the rest of my afternoon diving into Me and Earl and the Dying Girl by Jesse Andrews. What reads have been occupying you this summer? Let me know in the comments! 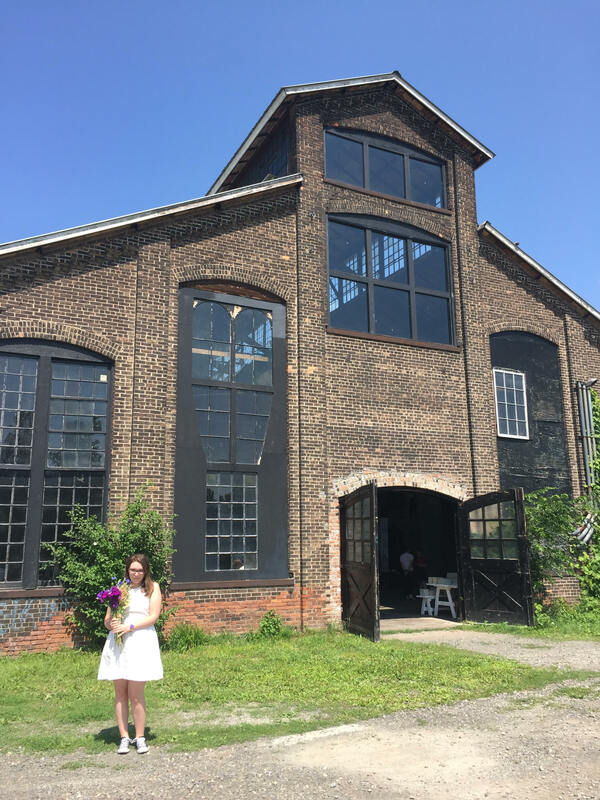 This entry was posted in blog note, book event and tagged amy bloom, blue hill, book blogger, book event, books, dana bowen, janet evanovich, jesse andrews, new york, off the page event, rachel ray, random house, random house off the page, reading, ruth reichl, toby's estate on July 11, 2015 by Bri with a book blog.